Check out some of Kelly's formatives! Standards are aligned with Common Core (6th Grade Math). CCSS.MATH.CONTENT.6.RP.A.3.C. Students start with classifying questions based on what they are being asked to find within a percent problem. Students then solve each percent question. CCSS.MATH.CONTENT.6.RP.A.2, .6.RP.A.3.B, .6.RP.A.3.C Students are given information about a quantity butterfingers and the cost in ratio form. Students will need to use a unit rate to compare prices and asked to find the whole given the part and the percent based on a discount. CCSS.MATH.CONTENT.6.RP.A.3.C Students are given a table, a fraction value, a percent, and the whole. They are asked to figure out how many pieces of candy represent the fraction, percent, and the remaining amount. Students are also asked to show knowledge of convsersion between fraction, decimals, and percents. CCSS.MATH.CONTENT.6.RP.A.1 Students are given a ratio and asked to draw a tape diagram. They are then expected to use the tape diagram to solve a ratio question. CCSS.MATH.CONTENT.6.RP.A.3.C Students are asked to find the percent given the part and whole. Students will compare two percents in the context of shooting Free Throws. 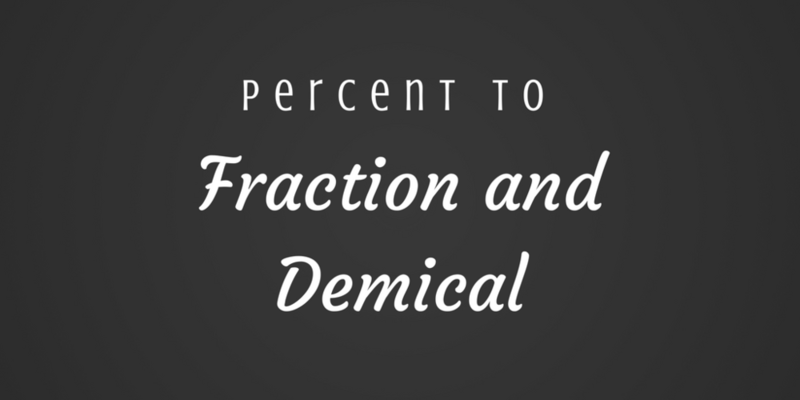 CCSS.MATH.CONTENT.6.RP.A.3.C Students are asked to convert from a percent to fraction and percent to decimal in a simple context. CCSS.MATH.CONTENT.6.RP.A.3.C Students are asked a multiple choice question to recognize which value, given in fraction or ratio form, is not equivalent to 20%. CCSS.MATH.CONTENT.6.RP.A.2 Students are given a ratio about cookies on plates and are asked to find the unit rate. Students are then given a question where they have to find a unit rate of chocolate chips per cookie. CCSS.MATH.CONTENT.6.RP.A.2 Students are given various situations and they have to figure out the unit rate. CCSS.MATH.CONTENT.6.RP.A.2 Students are given an image of 2 price tags. They have to figure out the better deal and explain their thinking. CCSS.MATH.CONTENT.6.RP.A.3.A Students are given a ratio and are asked to fill in a ratio table. They are expected to use the ratio and/or table to extend the values to a larger number.